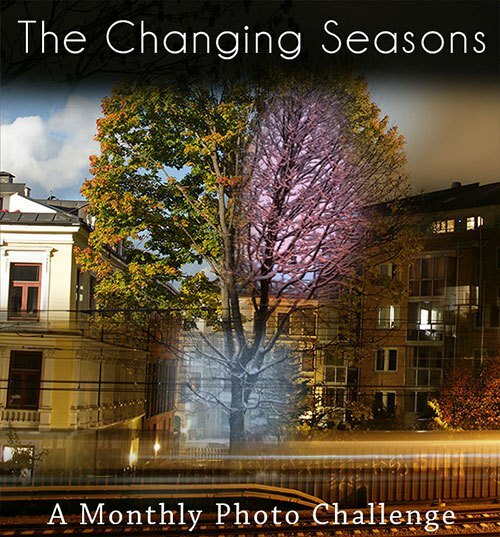 It is the last day of the month but here is my take for the Monthly Photo Challenge: The Changing Seasons, which runs from the 7th to the 15th day of the month throughout the year, hosted by Cardinal Guzman. All the photos are beautiful and each of them has brilliant details… But my faves are the last three ones, so actual! Thank you, Anna. And have a beautiful day. Thanks, Amy. Glad to hear that because it was such a cloudy day and shot! You did a fantastic job with the editing! Ah Amy, you’re so generous. Thanks. We’re not nearly so far along yet, although the weather has gotten cooler. (I love the cooler temperatures at night!) I also like the fountain shots. I can’t deny it’s colder already but at least it has been sunny in the last weeks. I love the lights at this time of the year. It’s my preferred time. Thank you, Janet and have a good day! Autumn has arrived here too, but I haven’t had the time to capture it yet! (shieeeeet). I have to do it soon. (I will, I promise). I’m sure your autumn photos will be stunning because nature in Norway looks so gorgeous in the season. Bring them on! It’s indeed a classic, Phoenix! And have a lovely weekend. Wonderful Autumn captures. What a great challenge! Thank you! It’s a very interesting challenge because it made me stop to watch the seasons. When living in the city we tend to take nature for granted. Bautiful photos, the air shots where the aeroplane had been gave me a real crickey moment! It was surreal to see that formation! Thanks! Yes the air plane jet stream photo made me do a double take too! What a great in the moment shot! Where has the time gone. I can’t believe that it is fall in the Northern Hemisphere (and spring here in the South Pacific which in the tropics seems a lot like the other seasons:-). I especially like the first three images and every one of the foliage shots. And of course I like the chess board street scene. Thanks for visiting and commenting. I appreciate it very much. It’s getting gray and rainy and during fall not many trees change to gorgeous hues. So I guess next one will be more somber! Oh how I would like to see that!!!!!! Love the sunsets, the trails and the fountain, I am impressed by the quality of your photos taken with your iPhone, but my absolute favourites this month have to be those taken in the park. Great reflections! Thank you, Jude. Appreciate your visit and lovely comment. If the light is right. The iPhone makes quite good photos.